(Bloomberg) -- The incremental developments keep building. With the latest reports on the trade front indicating that most of the details between U.S. and China are close to being worked out, with only enforcement (ok, not "only"..it’s kind of a big issue) details left to be determined, according to the FT, its no surprise that S&P futures are off to their second strong start this week. Chinese ADRs, like HUYA, IQ, SINA and technology-related names with a strong Asian dependence, like AMD and MU are all broadly higher, likely as a result of this continued optimism. To be fair, reports from DigiTimes that TSMC is getting more orders for some of its chips from smartphone makers may also be adding to the sentiment, as AMD at least is considered a major customer. It seems silly to place so much emphasis on just one product in the global economic order, but the smartphone supply chain runs deep, and touches nearly every corner of tech. Though today brings purported new developments in one of the biggest overhangs, Tuesday’s directionally challenged S&P (exactly flat) forces us to dig into some of more curious developments as the more thematic moves were less pronounced. There were strange bedfellows leading the day, as the tech-heavy communications sector and information technology segments shared the green spotlight with some of the more defensive utilities and real estate segments. A part of this narrative may lie in parts of the yield curve and the absence of cautionary developments. There was nothing to point to of concern given how slow it has been which, given the tendency for growth names to trend, allowed them to continue their upward trajectory. And why not? Baird analysts earlier this week wrote that they remained constructive on markets with a bias toward "offense," calling out cyclicals and FAANGs as a preference. They also joined the chorus of strategists that are reconsidering their year-end targets in favor of a raise -- this coming from strategists that are middle of the pack in their forecasts, according to our latest compilation of strategists forecasts that can be found here. Though there was nothing of concern, one could argue Wednesday holds a few catalysts that may give pause to those deploying new capital. March ADP figures at 8:30 a.m. ET, paired with Chinese trade negotiators in Washington pose all the risks one could want in an active trading day as we sit less than 3% from all time highs. The FT report mentioned above indicates risks may be to the upside today, narrowing the gap to the highs. Other interesting elements included the streak we’re seeing in the KBW banking index, which turned in its fourth straight day of gains. This comes after it notched a 7-day streak in March, which had been the longest streak since late 2016 up until that point. Despite low rates, the spread in some key curves has widened over the last two days, especially in the 2-year/10-year spread and the 5-year /30-year. Morgan Stanley’s Ken Zerbe, in a note earlier on mid-cap banks, wrote that recent market moves like "selling asset sensitivity and buying liability sensitivity" may have pushed valuations "far beyond" what is justified assuming 50 bps worth of rate cuts, which what the Fed Funds curve is currently pricing in by 2020-end. But all financials are not treated equally. Had you been watching the financials sector broadly in the S&P, you may have missed how terribly the insurers are trading as the nominal level of yields struggle to rise materially. 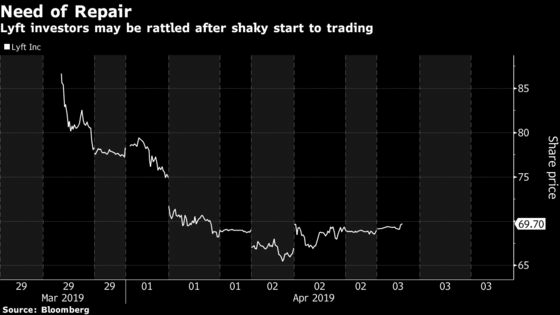 Lyft drama threatened again Tuesday, with losses at one point approaching 4%, which was chronicled extensively as it attracted its first bear on the Street. But at some point you need to move on, and given as how things change daily (shares are looking a bit higher this morning) and the preference for market watchers to focus on the new shiny toy, we can forget about it for now as another IPO in the form of Tradeweb looms. Though distinctly different from Lyft’s business model (Tradeweb operates an electronic trading platform), one can’t help but worry that some participants in the first day of IPO trading may be wary of getting involved, if only due to recency bias. Tradeweb’s IPO is expected to price later today. The first quarter was a tumultuous one for the electric-car maker as its expanded into Europe and China, while at the same time continuing its efforts to ramp up the production of the Model 3 sedan. Tesla also announced multiple job cuts that fueled concerns about sputtering demand, and the company’s decision to lower prices prompted investor anxiety about its ability to grow profits. While the main investor focus moved away from production to delivery during the quarter, the Bloomberg Model 3 tracker shows Tesla might have a nice surprise in store when it reports the numbers. According to the tool, total production could approach 80,000 cars, far higher than the average Wall Street analyst estimate of 64,400. It also estimated that the company is now building about 6,158 Model 3s a week. However, the gap between the estimated delivery and production numbers could end up as more of a headache for Tesla than a good news. Sanford C Bernstein & Co. analyst Toni Sacconaghi estimates the company’s working capital could be hit by up to $800 million if Model 3 deliveries are in a range of 50,000 to 55,000 units, with production around 70,000 to 75,000 units. Alibaba will probably be under pressure as investors digest the prospect of as many as 283 million shares (ADRs) being sold by the last corporate vestiges of Yahoo. Altaba, the closed-end fund that was created in 2017 after Yahoo’s sale to Verizon, determined that liquidation and dissolution was in the best interests of its shareholders. Altaba is Alibaba’s second-largest shareholder with an 11% stake at the end of 2018, according to Bloomberg data. Caterpillar Inc. was downgraded to hold from buy at Deutsche Bank, which wrote that it was “becoming increasingly clear” that the company’s backlog growth was poised to turn negative in the next quarter, which it views as an early warning sign for earnings growth. Shares are down about 1.6 percent pre-market. Analyst Chad Dillard described the backlog issue as the “biggest risk to the bull case,” as such an event typically precedes a negative earnings revision cycle by three months. And when that happens, “Street estimates typically get cut by 45 percent and shares fall by 40 percent from the peak.” Deutsche Bank also warned about European growth, the U.S. market being over-saturated with equipment, and the China land cycle rolling over. 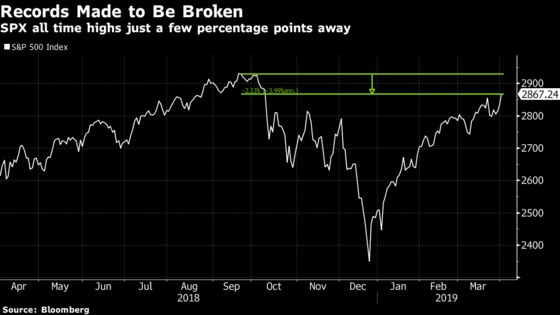 All of these factors are “powerful” earnings drivers, and losing all of them will not only bring “a negative earnings revision cycle, but also make 2019 the cyclical peak,” he warned. 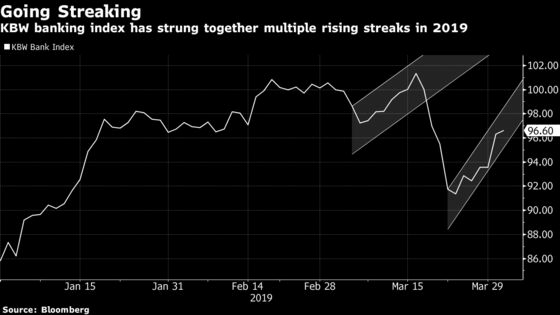 Beleaguered satellite company Intelsat got an upgrade to overweight from neutral at JPMorgan, the latest sign that sentiment may be starting to turn following a decline that has taken shares down almost 60 percent from an October peak. Much of the losses have concerned a plan to allow satellite companies to sell their spectrum in the C-band. JPMorgan was “not surprised that there were bumps in the path, including threats of blockage, litigation, legislation, or windfall profit taxation,” analyst Philip Cusick wrote, adding that the blue-sky scenarios had been “too optimistic.” However, the firm added, “we believe that after being overly-optimistic in the fall, the market is now underpricing the likelihood of Intelsat and the CBA’s eventually selling spectrum and reaping substantial proceeds.” The firm wrote that “some version of a market-based approach is the most likely path to get C-Band spectrum into the hands of wireless carriers in the next 5 years.” On Tuesday, wireless industry group CTIA released a report backing a free market approach to U.S. spectrum policy, and there were unconfirmed chatter that AT&T may be interested in Intelsat spectrum.